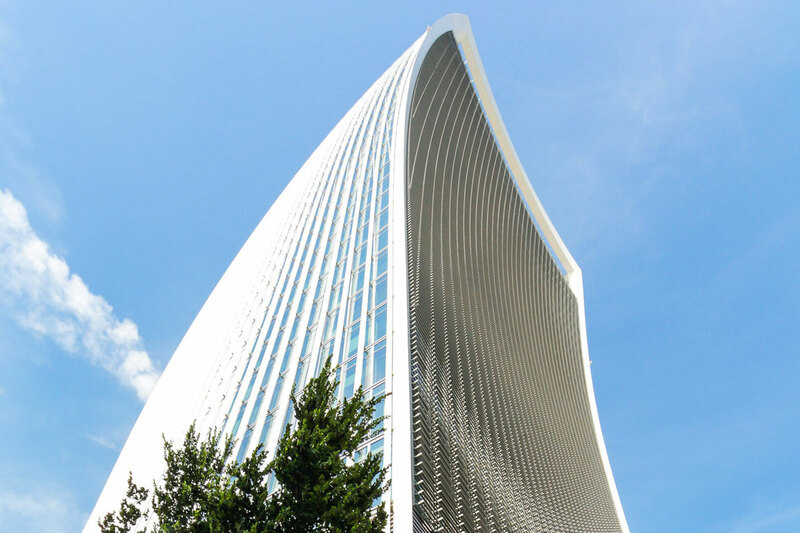 Radmat has supplied a comprehensive range of systems for 20 Fenchurch Street, AKA the ‘Walkie Talkie’, in the City of London. 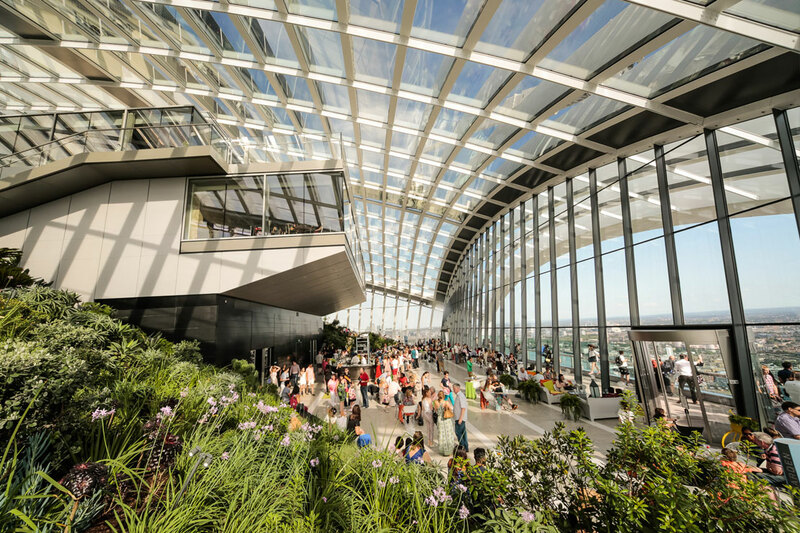 Radmat’s PermaQuik, ParaFlex and EshaUniversal roofing membranes were installed during the creation of the Sky Garden – one of the highest green roofs in the world, offering breathtaking views over the capital. 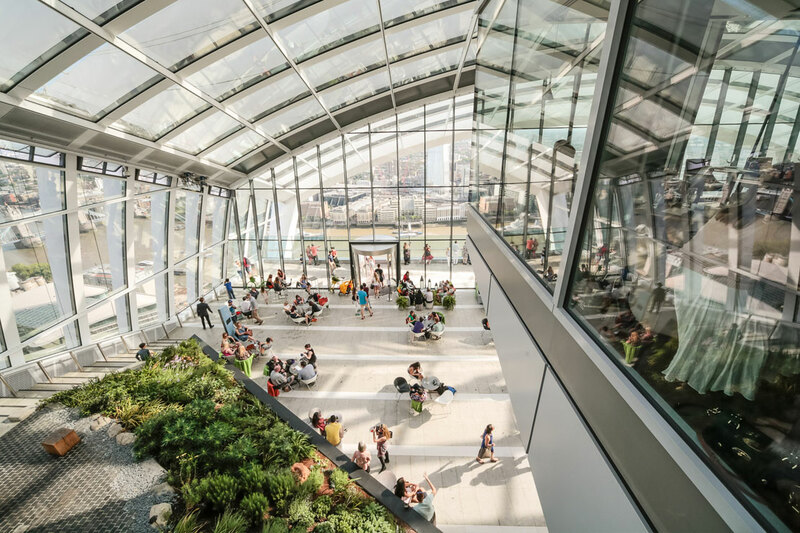 Designed by world-renowned architect Rafael Vinoly and jointly developed by Land Securities and Canary Wharf Group, 20 Fenchurch Street is constructed with impressive sustainability credentials to achieve an ‘Excellent’ BREEAM rating. 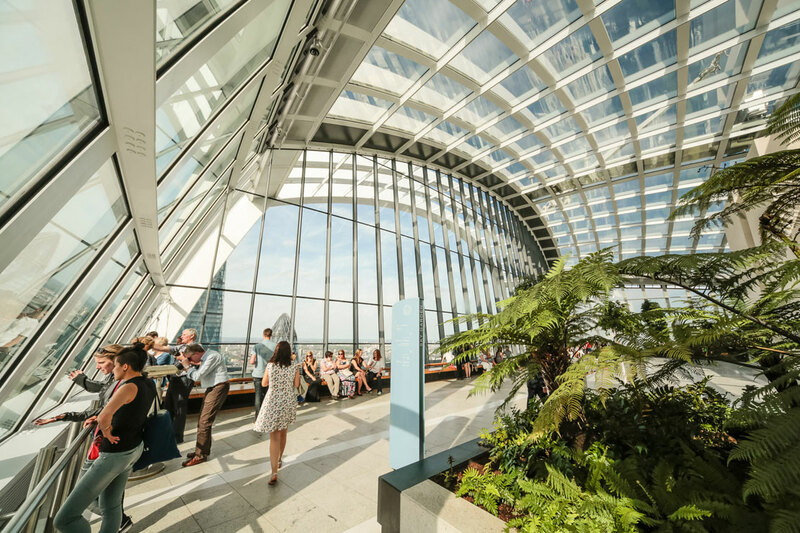 The 38 storey tower incorporates a vibrant garden spanning the top three floors which is open to the public and by appointment. Described as the terraced ‘hanging gardens of modern Babylon’, the fifth-of-an-acre garden utilises drought resistant Mediterranean and South African flowers, shrubs and ferns, in soil up to a metre deep. The gardens also provide Rosemary, Thyme and other herbs to three restaurants within the building. 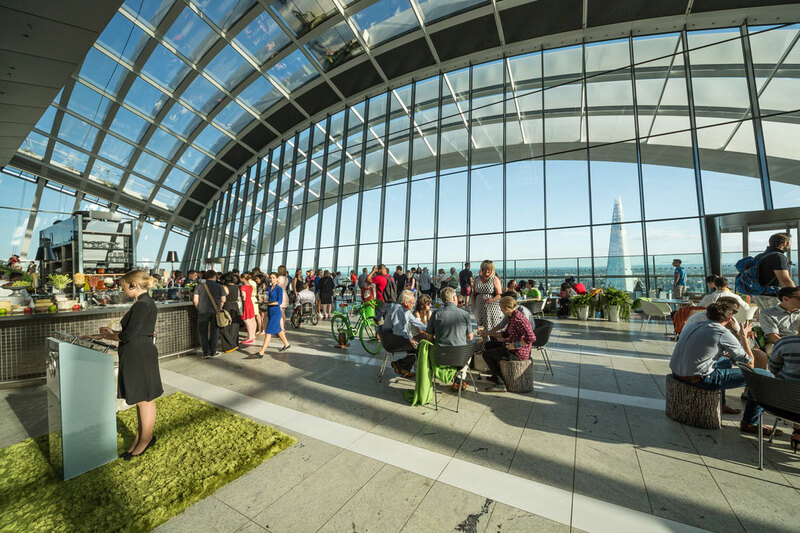 Now London’s highest public park, the publicly accessible roof gardens include a viewing area, terrace, café, bar and restaurant. For such a unique space, it was crucial that the roofing system chosen delivered thermal performance, watertightness and long-term reliability for the client – specialisms of Radmat products. Land Securities and Canary Wharf Group awarded the work to Radmat on the basis of the company’s established reputation and expertise in all types of flat roofing. For the pitched green roofs, sectioned into a series of individual 45° slopes, EshaUniversal waterproofing was specified as part of a Radmat roofing system that included insulation and drainage layer. Made from recycled materials and 100% recyclable – EshaUniversal proved ideal to meet the demands at this sustainable development. Offering an efficient and safe installation, EshaUniversal is ideal for green roofs. More durable than elastomeric roofing, the system is also weather proof, UV stable and offers flexibility, durability and high puncture resistance making it ideal for challenging applications. For public-access terracing across levels 34-38 – as well as a series of applications on the Ground Floor, second floor and the concrete staircase – over 1,200m2 of Radmat PermaQuik PQ6100 was applied. With an independently verified durability ‘for the lifetime of the building’ and a market leading guarantee, the liquid-applied PQ6100 waterproofing system delivers exceptional performance befitting of this unique build. 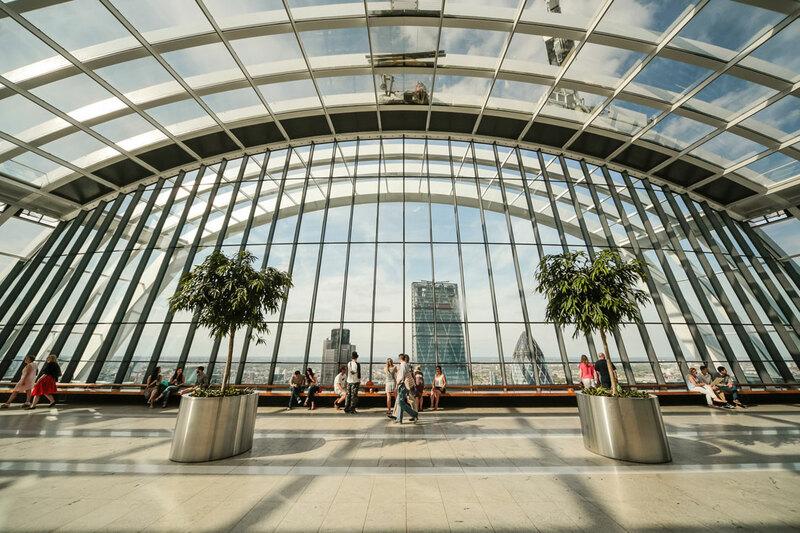 On level 37, where visitors can enjoy 360° views of the capital, additional waterproofing was required following the installation of a glass internal cladding system. With the glass already in place and challenged by high winds and low temperatures, the fast curing, cold applied ParaFlex waterproofing system was specified. Suitable for application at temperatures below zero reliable sealing can even be achieved at -5°C. Utilising collaborative working practices and a responsive and interactive design process, Radmat have created a stunning waterproofing and green roof application of the highest standard. Radmat’s proven range of waterproofing solutions met all the client’s demands and has ensured that visitors from all over the world can enjoy this stunning venue for many years to come.